The absence of a bowling all-rounder from Australia’s ODI squad for the tour of India starting next week suggests Australia are happy to punt on-fielding a weak tail in the World Cup. The favourites for that tournament are England, who consistently pile up massive totals in part because of the insurance offered by their remarkably strong lower order, which gives their top seven the confidence to take the game on. Since James Faulkner fell out of favour with the selectors in late 2017, Australia have lacked balance in their batting line-up due to consistently having a weak lower order. The knock-on effect of this seems to have been that the Australian top seven has played within themselves in the knowledge they have little batting support from number eight down. Time and again Australia’s top seven have batted with a patent lack of dynamism, something which was particularly obvious when they got hammered 9-1 home-and-away by England last year. 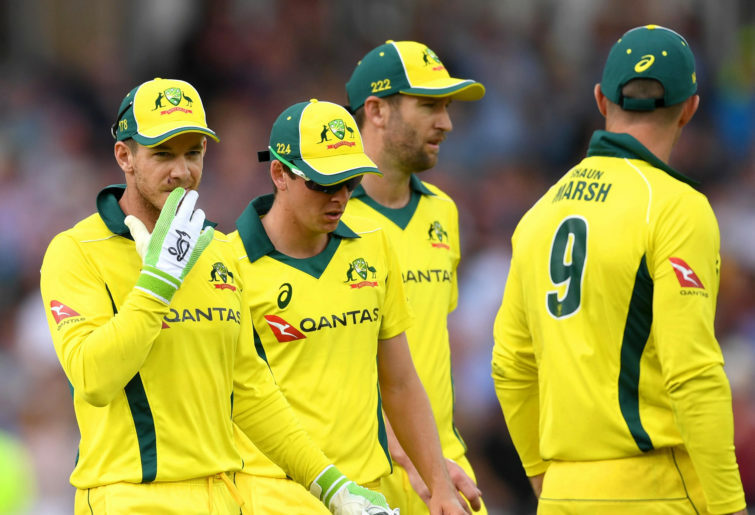 The makeup of Australia’s ODI squad for the five-match series in India this month suggests the selectors do not believe they need to bolster their lower order for the World Cup. Yet, when they won the last World Cup they did so while boasting a very-strong tail, with James Faulkner at eight followed by Mitchell Johnson and Mitchell Starc. In that line-up, Starc was batting in his correct position at no.10, while in the upcoming World Cup it looks as though he may bat far too high at eight. The omission of Faulkner for this series in India, and the absence of Ashton Agar in ODIs the past eight months, suggests neither player is in contention for the World Cup. And Australia have no other viable bowling all-rounders. That suggests that in the World Cup they will have batting at eight the likes of Starc or Pat Cummins, both of whom are handy lower order batsmen in Test cricket but poor with the blade in ODIs. Starc has averaged 12 with the bat over a long ODI career and his narrow range of attacking strokes gets exposed in white ball cricket. Cummins, meanwhile, is a defensive, slow-scoring batsman who looks completely out of place trying to score quickly late in an ODI innings. Cummins’ ODI batting average is 11 but the even bigger issue is his snail-like scoring rate of just four runs per over. What Australia badly lack is a number eight who can either steady an innings if things have gone awry, or score briskly from the get-go if the team is travelling well. Faulkner and Agar both fit this bill, Starc and Cummins not even close. In the last two years, Australia have lost 11 out of 14 matches when they’ve batted first in an ODI. This awful record is not just the result of consistently getting skittled for low scores, but due in a large part to Australia regularly batting out their full 50 overs in dawdling fashion to finish with a sub-par total. In that time, Australia’s average score when batting out their full 50 overs has been just 290, a below-par total more often than not in this modern era. If Australia bat first on a decent pitch in the World Cup and only put up 290 against the likes of England or India, the two favourites for the World Cup, then their bowlers will have to play out of their skins to earn the win. Remember this is not the average scores made by each team, but their average totals when they bat first and face their full 50 overs. This underscores that Australia’s batting approach is stuck in a bygone era of ODIs. A total of 290 is no longer the slightest bit intimidating for the top ODI teams, who are confident of chasing even 350. Given Australia do not have a lethal ODI attack – their full-strength bowling unit is good but lacks a match-winning spinner – they cannot afford to bat conservatively. Australia are outsiders for the World Cup, and outsiders very rarely win by playing safe. The very nature of being an outsider means you typically must take risks in an effort to bridge the gap with opponents who are consistently superior. Australia need to gamble on playing a bowling all-rounder at eight to try to fix the balance of their batting line-up and give their top seven greater freedom to take on the bowlers. This series in India is when they, at the very least, should have trialled this approach. Instead they’re sticking with the same balance in their line-up which has failed them again and again in the past two years.